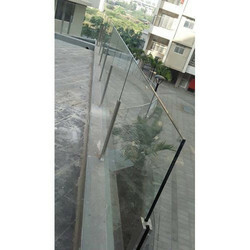 Providing you the best range of stainless steel toughened glass railing, mild steel railing, stainless steel railing, stainless steel balcony railing, stainless steel glass railing and stainless steel pipe railing with effective & timely delivery. 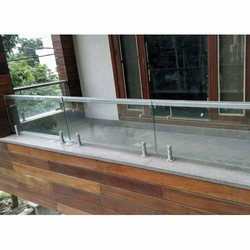 We are offering Stainless Steel Toughened Glass Railing. Toughened Glass is a type of safety glass processed by controlled thermal or chemical treatments to increase its strength compared with normal glass. 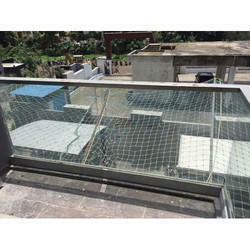 Toughened glass puts the outer surfaces into compression and the inner surfaces into tension. Such stresses cause the glass when broken, to crumble into small granular chunks instead of splintering into jagged shards of plate glass (aka annealed glass) creates. The granular chunks are less likely to cause injury. 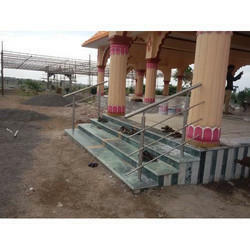 We are offering Mild Steel Railing. 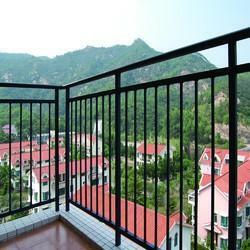 We are offering Stainless Steel Balcony Railing. 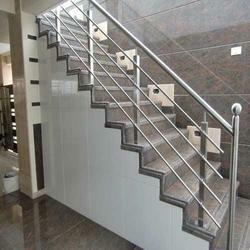 We are offering Stainless Steel Glass Railing. 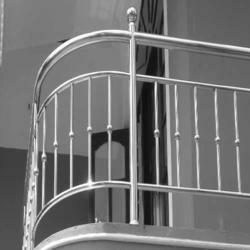 We are offering Stainless Steel Pipe Railing. 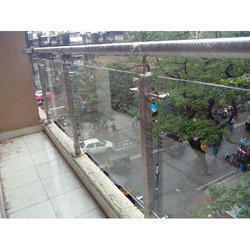 We are offering Stainless Steel Tempered Glass Railing. 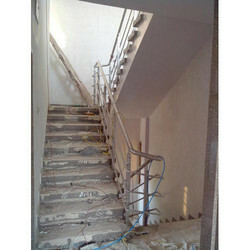 We are offering Stainless Steel Staircase Railing.